There is a very thoughtful column in today’s Milwaukee Journal Sentinel by Christian Schneider about the Supreme Court election. The column deals with the accusation by the challenger, Marquette law professor Ed Fallone, that the court is dysfunctional. [Disclosure: I am supporting the incumbent, Justice Patience Roggensack. I don’t know Prof. Fallone and I don’t even know Justice Roggensack very well. I simply believe from reading her opinions that she is intelligent and thoughtful and therefore deserves to be re-elected]. But the primary question remains: Even if the justices aren’t exactly Facebook friends, so what? 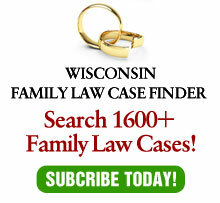 Nowhere in the Wisconsin Constitution does it say that Supreme Court members have to go hot tubbing together….Further, even if the court has ground to a halt, what does that have to do with Roggensack, and how would Fallone do things any differently? The Wisconsin Supreme Court is, quite frankly, too important for judges to be selected on any basis other than their judicial ability. Collegiality is a red herring. Many of the best justices in history were outliers and some of their dissenting opinions later become the law. In fact, as long as dissents are collegial and not ad hominem attacks, dissents are good things. They provide a discussion of opposing opinions. Since, the Supreme Court selects the cases which they hear, it is amazing when there are no dissents. If an issue is so straightforward that all seven members, from differing philosophical opinions, agree on every word in an opinion, perhaps it is not a sufficiently difficult issue to warrant the SC granting review in the first place. As long as we continue to elect judges, politics will, of course, have to play a role in elections. And politics typically have little to do with competence and more with ancillary matters like fundraising and perceptions. The result is selection of judges for reasons other than why we should be electing judges.